Do you need help with a relationship? Want to know when things are going to start getting better for you? 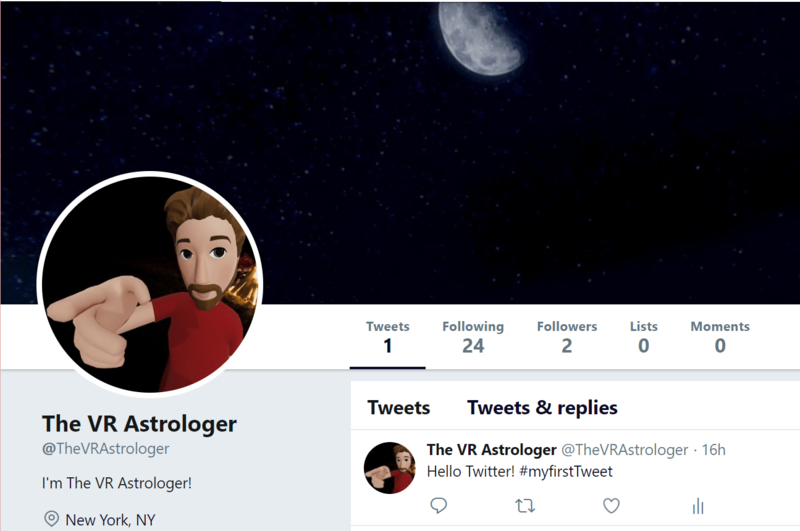 If you have a question you want to ask ME about YOU, Follow me on Facebook or Tweet me @TheVRAstrologer! Think of this place as a gift of Astrology from ME to YOU! I’m a second generation astrologer and have been around astrology my entire life. Because of that, I see how patterns in life are reflected in the patterns of the planets and the stars. I liken reading the stars to reading and understanding a second language. They are a language that anyone, including you, can learn, interpret and use to guide you through whatever difficulties you may be going through. Until you can do it on your own without my help… I can! Don’t think of me as a psychic because I’m not. Think of me as your very own personal translator and The Astrology Spot as your home. I’m not looking to convince you of the reality of astrology and the role of the stars in our lives. If you’re hoping for that, look elsewhere. There are plenty of great resources to get that information online. The reality is, if you ask any astrologer how they came to be a believer, I’ll bet you discover that for 99.9% of us, it was a journey that began with skepticism and ended up in understanding. What I’m here to do is be in service to you doing something I love to do. If my words can help you live a better, healthier, wiser life, then that’s all good on me AND good for you! Why VR? Because I love it! I think VR is the wave of the future and am looking to hang ten riding that wave!